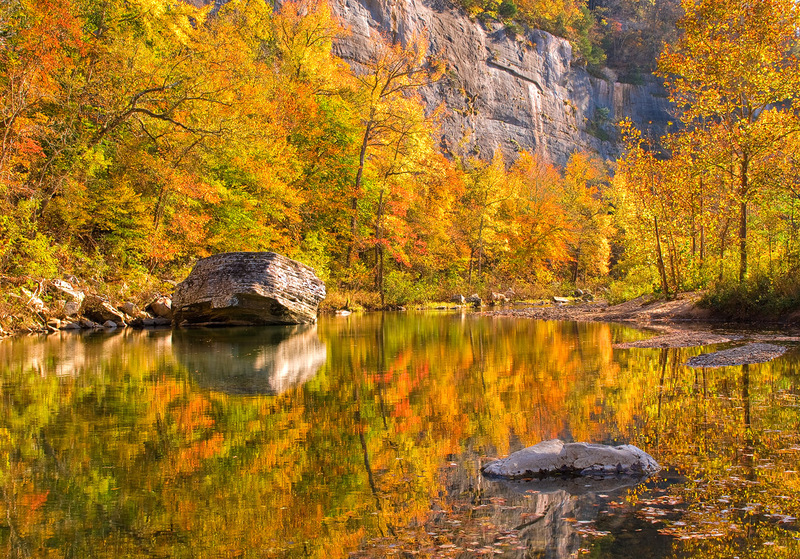 Peak fall color near Steele Creek on the Buffalo River. Arkansas Nature Photography. Photo © copyright by William Dark.